Abstract—Herein we report on the synthesis of new ionic compounds based on N-ethoxyethylpiperidine, trimecaine and piromecaine, obtained via N-alkylation with alkyl halides. The combination of piperidine ring, secondary amine group, trimecaine and piromecaine in form of a base with different alkyl radicals bring to molecule new biological activity and/or reduce toxic effects of parent compounds. The potential pharmacological activity and potential toxic effects of the obtained compounds were predicted with PASS online service (Prediction of Activity Spectra for Substances) showing cardiotonic, antiarrhythmic and spasmolytic potential activities. The dependence of the potential activity on the nature of substituent was compared. These novel ionic compounds can be applied for synthesis of ionic compounds and drug candidates. Index Terms—Ionic liquids, N-ethoxyethylpiperidine, PASS prediction, piromecaine, trimecaine. D. S. Zolotareva, A. A. Basharimova, S. Bayazit, A. G. Zazybin are with the Center of Chemical Engineering, Kazakh-British Technical University, 59 Tole-bi street, Almaty, 050000, Kazakhstan (e-mail: zolotareva.2909@mail.ru, anna.basharimova@mail.ru, bayazitsarah@gmail.com, azazybin@yahoo.com). 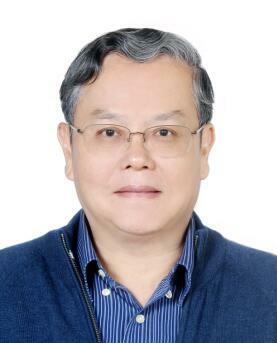 V. K. Yu is with Institute of Chemical Sciences named after A.B. Bekturov, Walikhanov Str., 106, Almaty 050010, Kazakhstan (e-mail: yu_vk@mail.ru). Cite: D. S. Zolotareva, A. A. Basharimova, S. Bayazit, V. K. Yu, and A. G. Zazybin, "N-ethoxyethylpiperidine, Trimecaine and Piromecaine Based Ionic Compounds: Synthesis and Prediction of Biological Activity," International Journal of Chemical Engineering and Applications vol. 8, no. 3, pp. 226-232, 2017.